Some sellers on the market claim an extremely high Gauss rating of their magnetic bracelets. Since few customers have a means to verify whether their claim is true, we demonstrate a simple experiment to show some idea about the Gauss strength which hopefully would serve as some sort of frame of reference. As you can see in the image above, a spanner is picked up by a single magnet on a magnetic bracelet. The second image shows the surface Gauss rating of approximately 2,500 Gauss of the magnet. The spanner used in this demonstration is 6.5 inches in length and weighs 4.4 Oz or 125 grams. In other words, if the surface Gauss rating of a magnet is 2,500 Gauss or greater, it should have no problem picking up a piece of steel weighing 125 grams or less. Further experiments demonstrate that a 2,000 surface Gauss magnet can barely pick up 100 grams and a 4,000 surface Gauss magnet can easily pick up 500 grams or 13.6 Oz. However, please note that this is not a scientific experiment. The type, shape, mass of the magnet and the working temperate as well as the shape of the object especially the contact surface shape all affect the actual pull force of a magnet. Note that we also use the manufacturer rating for most of our magnetic metal items except that we choose to stay on the honest side by taking a conservative approach of understating the manufacturer rating by approximately 500 to 1500 Gauss before we manage to actually verify the rating of any particular style. Therefore and as you may have noticed, wherever the item specification shows a verified rating, it is usually much higher than either it's manufacturer rating shown previously or the unverified rating of a comparable item. Obviously there is a significant difference between surface rating and core rating or manufacture rating. Many factors come into play here. First, bracelet manufacturers usually use nominal magnetic rating provided by the magnet suppliers which is what is often referred to as the Manufacturer Rating. Second, most magnetic bracelet distributors either do not have the equipment to measure the magnetic Gauss rating or simply do not bother to. Third, when magnets are magnetically charged in large lots in a mass production fashion, there is inevitably a certain degree of inconsistency in terms of magnet strength in the end products. The differentials may range from a few tens to a few hundreds of Gauss higher or lower. 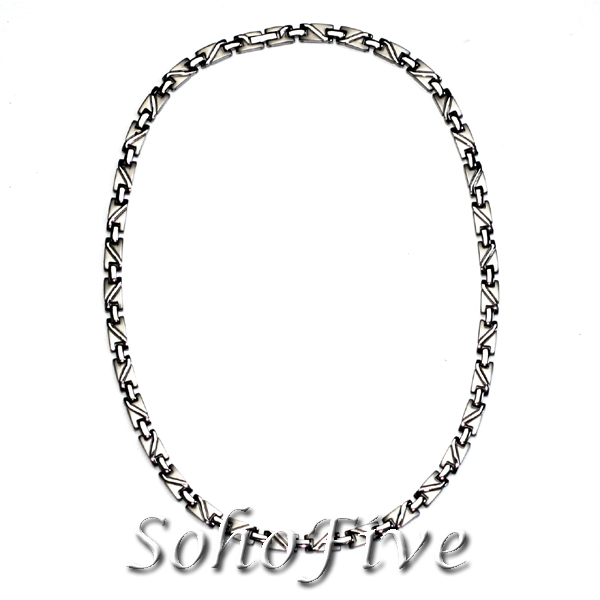 Fourth, magnets used in the metal types of magnetic link bracelets are usually covered with a metal lid and sealed with some kind of sealant. The measurable surface strength is thus dramatically reduced to a fraction of the core strength depending on the thickness of the cover and the sealant applied as well as the gap between the lid and the magnet. Finally, even the size, shape, mass and the pole orientation all affect the measurable surface strength of magnets of the same core rating. In short and for practical sake, to attain a surface Gauss strength of say 2,500 Gauss in a metal link bracelet, the core magnet Gauss strength usually needs to be much greater. Without actually measuring a particular item with a reliable Gauss meter, deriving a surface Gauss rating from a manufacturer rating or core rating remains a guessing game at best.